A loan of $1,300 helped to pay the rent on the house where he lives until his house is ready. 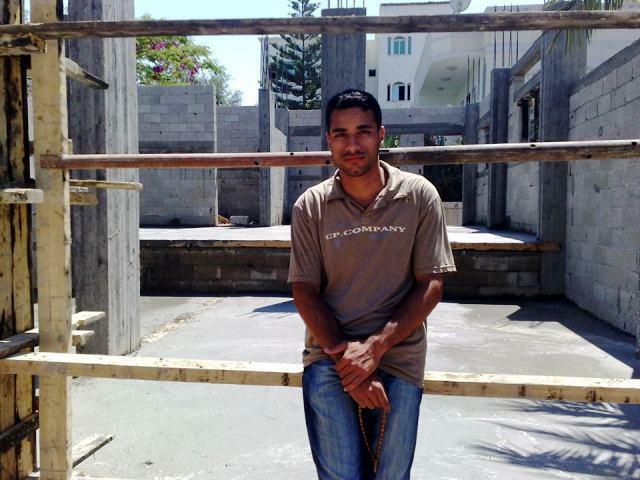 Yousef is a 30-year-old married man from Jabalia City in Gaza Strip. He works as an employee in the public sector where he earns a low income, barely enough for basic needs. His house was destroyed at the last conflict in Gaza. He is taking a USD loan from Palestine for Credit & Development (FATEN) to pay the rent on the house where he lives until his own house is ready. He hopes that you will help him and fund his loan. Yousef appears in the photo. It helps people in conflict zones rebuild their homes and businesses. This loan is part of FATEN's efforts to meet the urgent needs of people in Gaza in light of the recent violence in the coastal strip. It will target Gazans who had parts of their houses or businesses damaged during the recent conflict. Support from Kiva lenders is especially important during this time of crisis in Gaza, as Kiva funding will allow FATEN to offer this product at a lower interest rate and with more flexible loan terms. This loan will target existing FATEN clients as well as new clients in need. By funding this loan, you are helping someone who has been directly affected by the recent conflict begin to rebuild their home or business at a price they can afford.